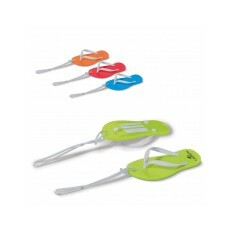 Give your feet a treat with our promotional Flip Flops. Whether you’re looking to hand them out as a summer promotion or stocking up your beach hut, we have a variety of styles to suit your needs. Ranging from simple screen printed ones to completely bespoke flip flops, our range has branded flip flops to suit every budget. 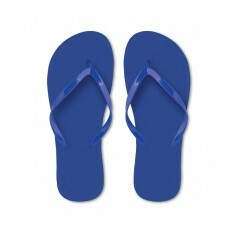 High street to holiday ready, make sure your customers are equipped with your personalised flip flops. After a completely unique design? Our Bespoke Flip Flops are the perfect option as they are not only pantone matched to your desired colour but can also be branded to the entire front face. 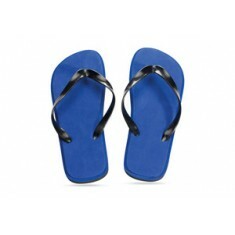 Made from an EVA material, these flip flops are spongy yet supportive making them perfect for strolling along the beach. In search of a more cost effective style? 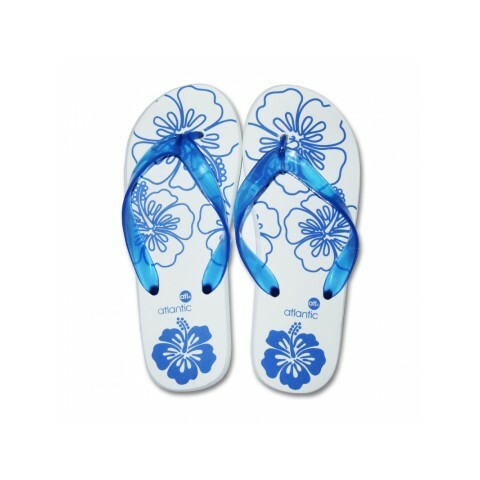 Our customised Beach Flip Flops are the option for you. They come laser engraved with your design to the heel, ensuring your brand is on show permanently. Want to find out what your branding would look like? Pop through a visual request and our account managers will arrange a visual for you. Colourful EVA slippers with contrasting black strap and sole. European size 43..